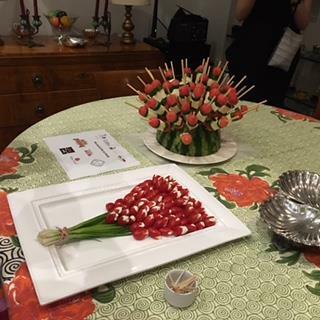 Last Sunday event at Friendship Heights Village Center was a great success! 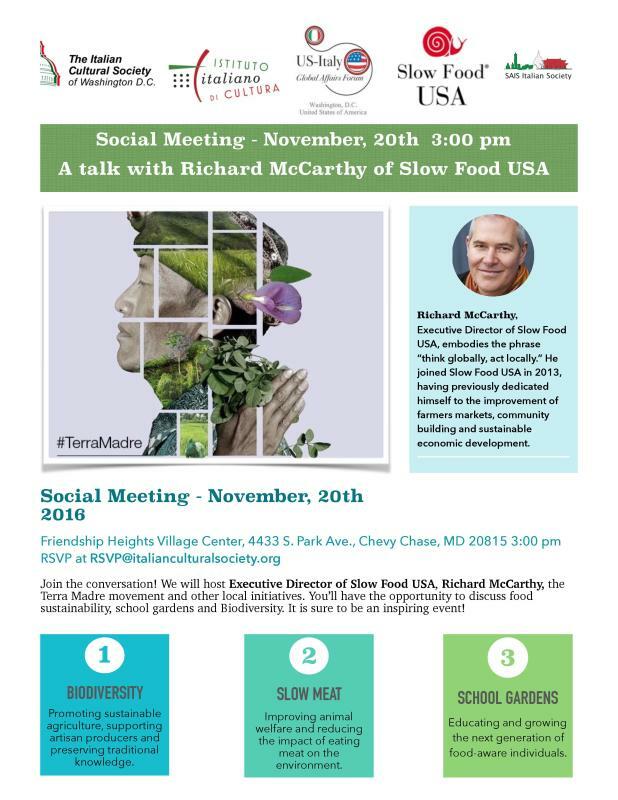 We would like to thank Richard McCarthy Slow Food USA, Mike Koch FireFly Farms and Niraj Ray Cultivate the City for sharing their valuable experience and products with us. 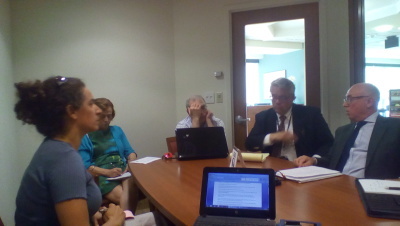 Participants had the chance to learn more about localfood, sustainability, environment, biodiversity and schoolgardens. 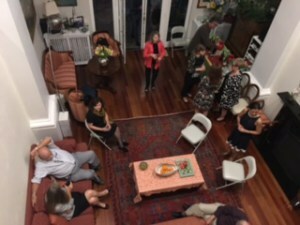 This event was possible thanks to the strong partnership with the Italian Cultural Society of Washington DC and Istituto Italiano di Cultura Washington. A special thanks goes to everyone who attended and was involved in this inspiring event! 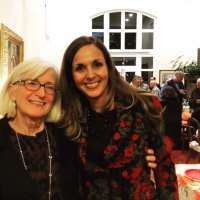 If you want to learn more about the world-wide Slow Food Movement, Terra Madre and Ark of Tastes don't miss our next event at SAIS - Johns Hopkins on February 8th, 2017. In this occasion, IDB, IMF and The World Bank experts and economists will discuss food sustanability, agricultural issues and international development challenges. 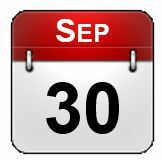 Did you miss this event? Watch the video on youtube! Italy's public debt continues to threaten the financial and economic stability of the Euro zone. 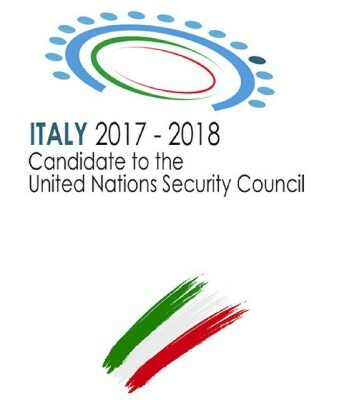 The panelists will discuss the current state of affairs based on their unique experience as advisors to the Italian government. 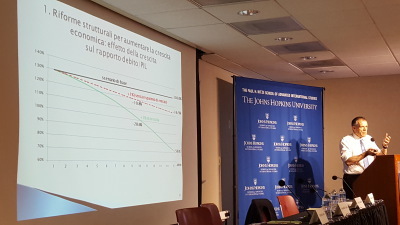 Roberto Perotti, now a professor of economics at Bocconi University in Milan, resigned in November of 2015 from his position as economic advisor to Italian prime minister Matteo Renzi over the government's reluctance to make targeted cuts in public spending - after serving for just fourteen months in the position. 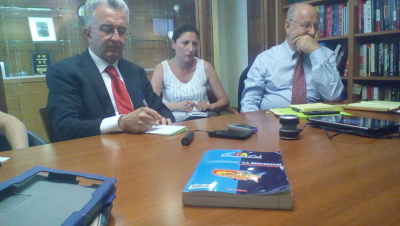 His book "Status quo. 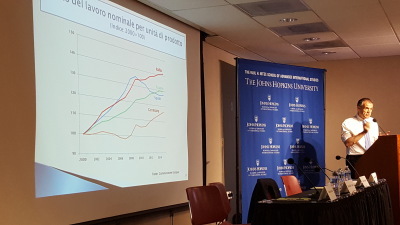 Perché in Italia è così difficile cambiare le cose (e come cominciare a farlo)". 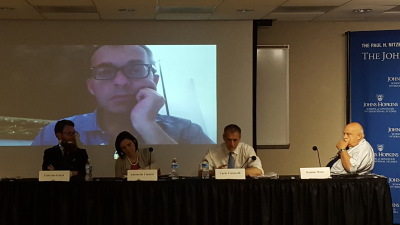 Carlo Cottarelli is Executive Director at the International Monetary Fund. 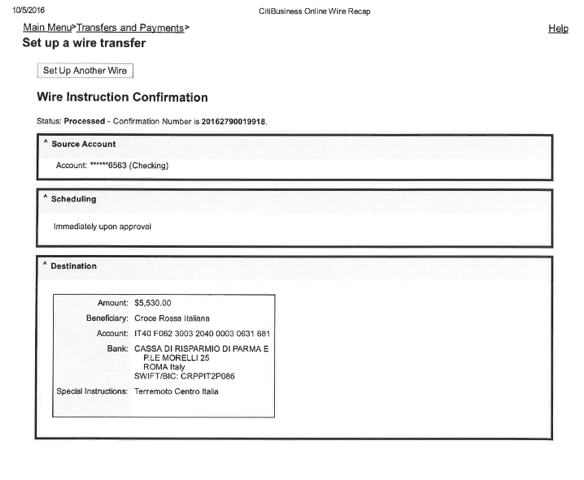 Prior to that, he served as Spending Review Commissioner working on the plan to cut government expenditure in Italy. He resigned from this post in 2015 in protest over Renzi's ignoring of most of his proposals to reign in Italy’s public debt. 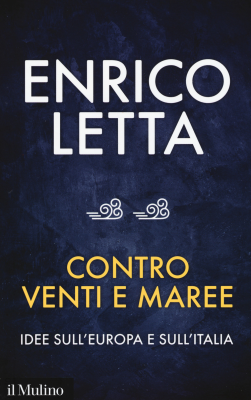 He has extensively written on this issue, including the books "La lista della spesa" (2015) and "Il macigno" (2016). Ivan Butina works with the World Bank Group's (WBG) communities of practice, helping them increase collaboration and knowledge sharing across organizational boundaries. Before the WBG he worked in strategic communications, both as an independent consultant and with a Washington, DC-based PR firm. 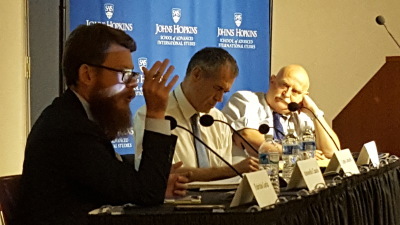 He co-founded Italians in DC and the Young Diaspora of Bosnia and Herzegovina worldwide, and currently is on the board of the Washington European Society. 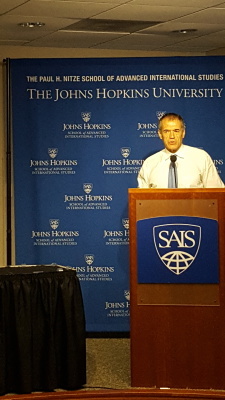 He graduated from the Johns Hopkins University SAIS and the University of Bologna, Italy. 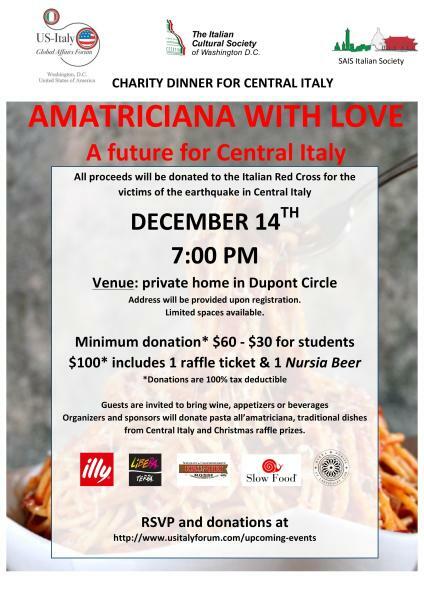 The food will be donated by the organizers and sponsors who will fully contribute to the fundraising event. Dowload September charity dinner receipt and see how much we raised! 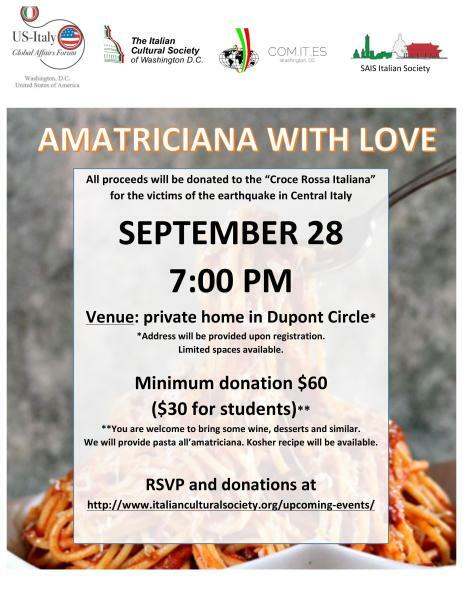 The completely sold out 'Amatriciana with Love' fundraising dinner, held on September 28 in Washington, DC, was a tremendous success, collecting $5,530 in donations for the victims of the recent earthquake in central Italy. All donations have gone to the Italian Red Cross. On behalf of the organizers - Nina Gardner Olivieri, Daniele Moro, Francesca Casazza, Maura Guida Maffia, and Manuela Di Muccio - we would like to thank all attendees and donators for their generous contributions. 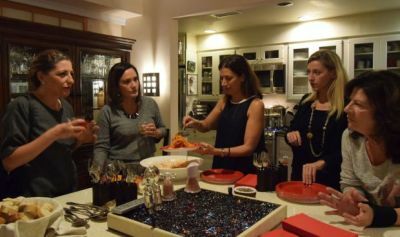 We are planning to host another fundraising dinner before Christmas so stay tuned. 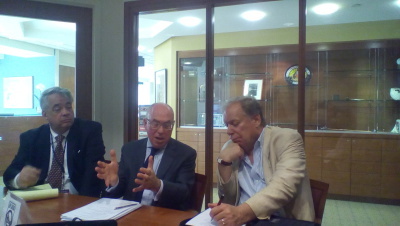 You can find more pictures of the event at http://www.italianculturalsociety.org/past-events/. 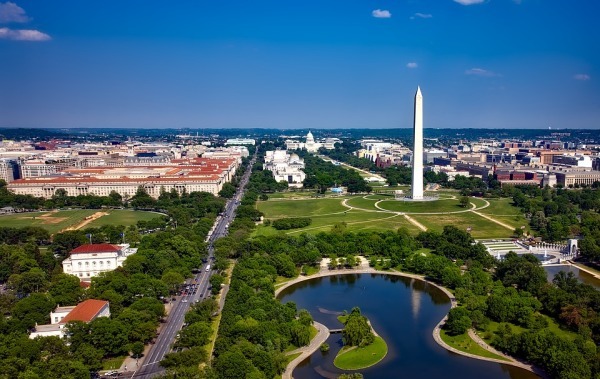 On July 27, 2016, a diverse group of 121 former members of Congress, former senior U.S. government officials, and prominent Middle East analysts sent a letter to President Obama encouraging him to make an official visit to Tunisia before the end of his term. Signatories include six former U.S. 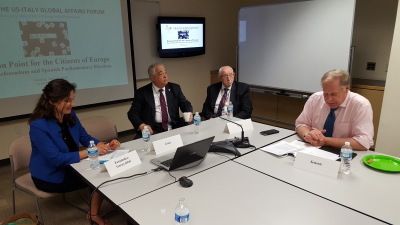 Ambassadors to Tunisia and 10 former Members of Congress, including Senator Joseph Lieberman and former House Foreign Affairs Committee Chairman Howard Berman. Other signatories include former Deputy Secretary of State William Burns, former Ambassador-at-Large for Global Women’s Issues Melanne Verveer, former Senior Director at the National Security Council Michael McFaul, former Director of National Intelligence Admiral Dennis Blair, and former Under Secretary of Defense Frank Wisner. Read the letter here . Il macigno: Perché il debito pubblico ci schiaccia e come si fa a liberarsene"
Visit the US-Italy Global Affairs Forum's Flickr page for all event pictures. 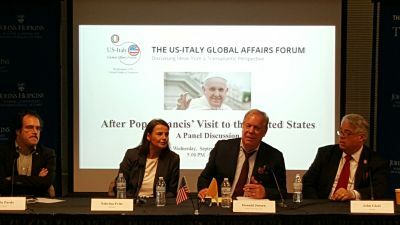 The US-Italy Global Affairs Forum welcomed a number of renowned contributors to the event ‘After Pope Francis’ Visit to the United States – A Panel Discussion’ on September 30, 2015: Donald Jensen (moderator), Sabrina Fritz, John Gizzi and via video conference from Rome James Politi and from New York Renzo Cianfanelli. 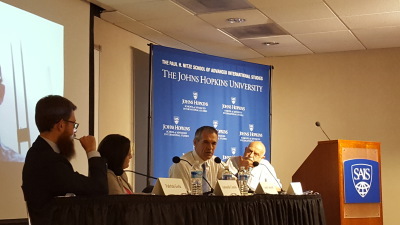 The panelists discussed a range of issues: the character of Pope Francis’ agenda and possible misperceptions of his message, the Pope’s balancing act trying to stay out of the culture wars in the United States, the potential consequences of the Pope’s meeting with Kim Davis, Pope Francis’ focus on climate change and possible implications for the Vatican's financial institutions, and the economic message of the pontiff. 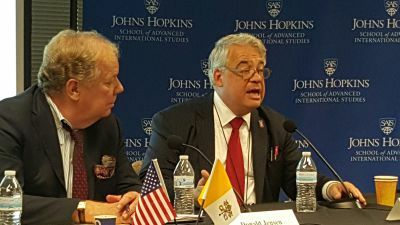 John Gizzi concluded that Francis is in effect a Rorschach test, a Pope who is seen by anyone depending on the persons’ own ideological background. 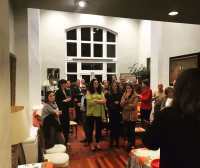 Visit our Flick page for more pictures of the event. Visit our YouTube channel for complete video coverage of the event. 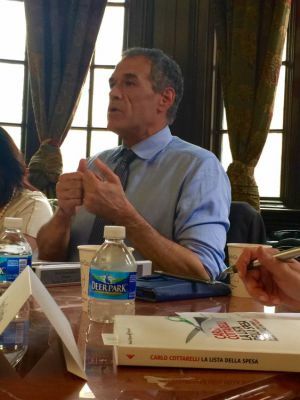 Renzo Cianfanelli, currently based at the United Nations in New York, is a contribution editor to the US-Italy Global Affairs Forum. 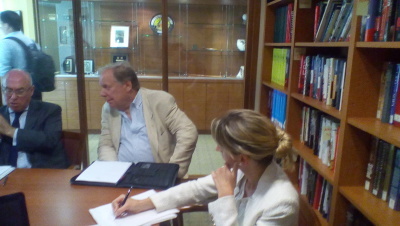 He is an award-winning international and war correspondent and a visiting scholar, holding a Dr. Jur. degree in Law and Economics. 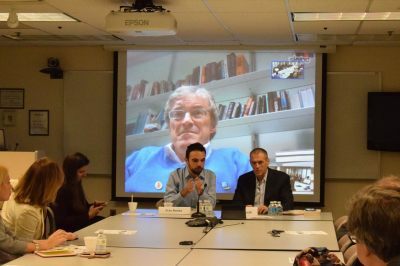 Presentazione numero di Limes dedicato agli USA - "U.S. 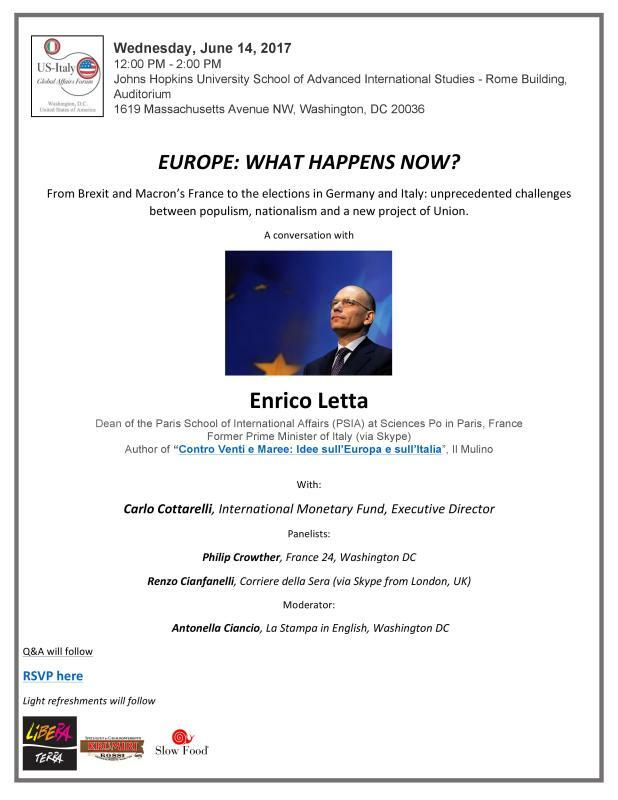 Confidential"
On June 12th, the US-Italy Global Affairs Forum hosted, at the National Press Club, the official presentation of the LIMES-Rivista Italiana di Geopolitica (Limes) June’s issue. 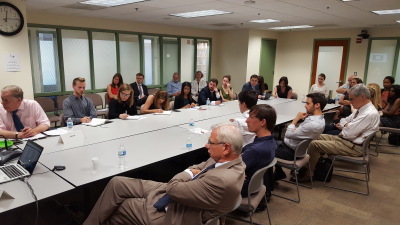 The roundtable discussion was a great opportunity to debate with journalists and foreign policy experts about the Limes’ June issue. 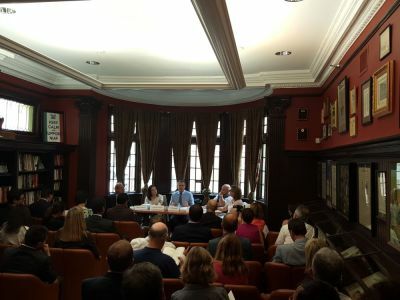 The event was moderated by Lorenzo Montanari, board member of the US-Italy Global Affairs Forum, with three speakers: Dario Fabbri, journalist at LIMES, Ambassador Francesco Olivieri, and Dr. Giovanni Faleg, researcher at the Centre for European Policy Studies. 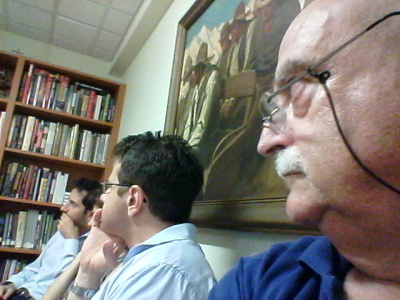 Dario Fabbri (in connection via Skype from Rome) presented the June issue, and provided a provocative portrait of the U.S.. He described the U.S democratic system as being lead by an inner circle of oligarchs supported by a system of lobbies. While Ambassador Olivieri provide a unique portrait about America today. Today's Europeans are somewhat conflicted about America. The image they grew up with doesn't reflect anymore the reality of a society that has exploded in a few decades into a massive world power. 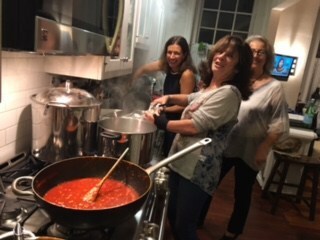 In the process, little wonder that she lost some of the homespun character that captivated Old World citizens of all ages and all persuasions when they first met Americans in their role as liberators, victorious warriors who didn't exterminate the conquered and started feeding them instead. Today's America, two generations into a unipolar world, appears in a much more complex and nuanced reality. 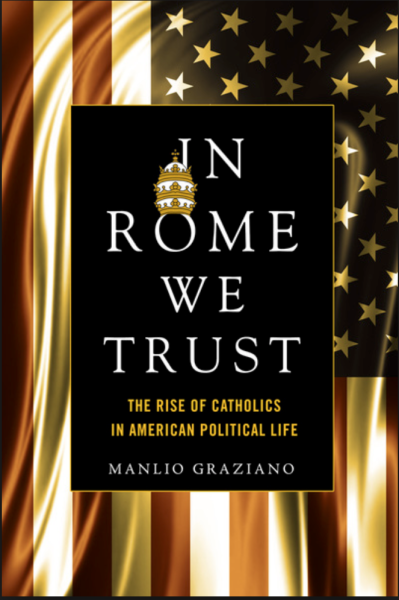 That is due not only to a more sober appreciation of starstruck Europeans, but naturally enough to the fact that profound changes have indeed occurred in America herself. 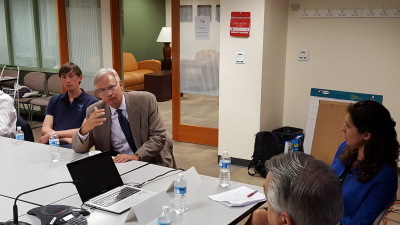 Last but not least, Dr. Giovanni Faleg focused his presentation on how the U.S. is facing internal conflict between repositioning themselves as a global player in the international arena, and fixing technological asymmetries within the U.S. political system. These discrepancies have direct consequences on the way the U.S and the European Union are managing geopolitical conflicts such as in Ukraine and Syria. Building walls does not represent a solution to the migrant and refugee crisis in Europe, as smugglers are already seeking alternative routes to human trafficking and thousands of migrants stranded at the border risk to fall prey to criminal networks as their fate remains uncertain, said Emiliano Alessandri, senior external co-operation officer in the Office of the Secretary General of the Organization for Security and Cooperation in Europe (OSCE). Speaking in an interview with the USITA Forum ahead of the visit of OSCE Secretary General Lamberto Zannier to New York and Washington, DC this week, Alessandri said new, long-term migration policies are necessary to manage the migration emergency, which is becoming a new emerging security issue for Europe. Are European Responses to Extremism Sufficient and in Time? 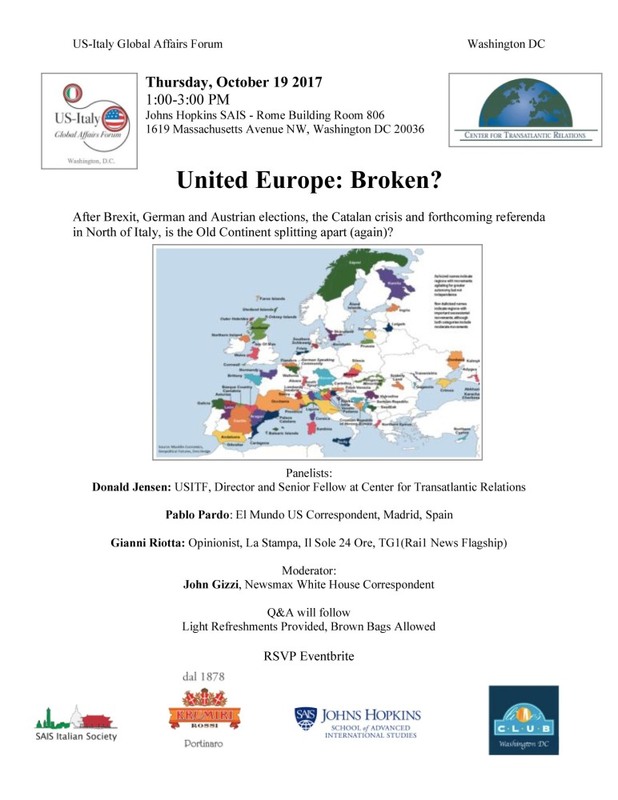 On June 11, 2015, the US-Italy Global Affairs Forum hosted a round-table discussion titled: “Are European responses to extremism sufficient and in time?” at the National Press Club in Washington DC. The keynote speaker was Mr. Mike Whine, Director of the Government and International Affairs Community Security Trust in the United Kingdom and UK Member of the European Commission Against Racism and Intolerance at the Council of Europe. 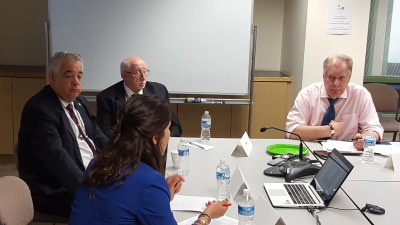 Mr. Whine began the discussion with an overview of UK’s recently reformed efforts to address Islamic radicalization in the country and to promote cooperation with other European partners. 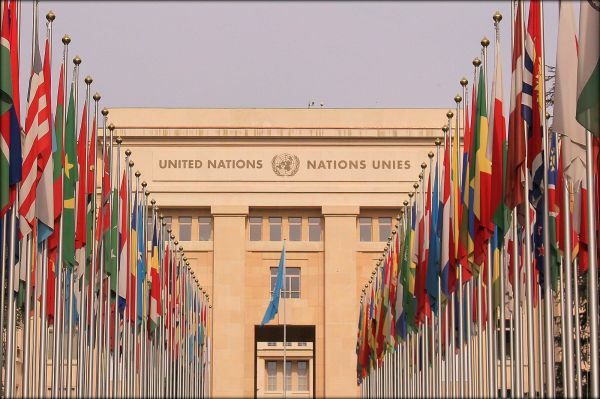 Among the initiatives cited were the strengthening of minority groups within the Islamic communities that advocate for democracy and respect of human rights, the promotion of dialogue among moderate Sharia scholars and extremist groups and targeted de-radicalization efforts in UK prisons. 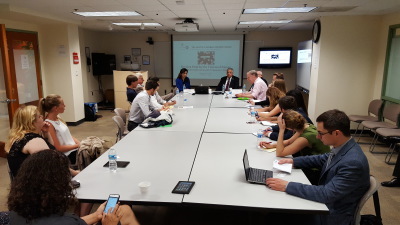 Mr. Whine further emphasized the positive results obtained by the improved cooperation among UK intelligence departments in understanding the problem and preventing potential threats to national security. Mr. Daniele Moro, Managing Director of the US-Italy Global Affairs Forum, followed Mr. Whine’s intervention and shifted the focus to Italian and American efforts to confront the threat of Islamic radicalization, with special attention to projects aimed at improving dialogue with governments in the Middle East. 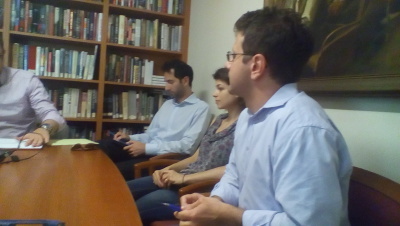 Conference participants commented on the need to strengthen the legal framework against hate crimes in Europe through harmonization of European legislation, trainings of law enforcement and integration into EU jurisdictions of the 2008 Council Framework Decision that requires all EU member states to legislate against incitement to racial and religious hatred. 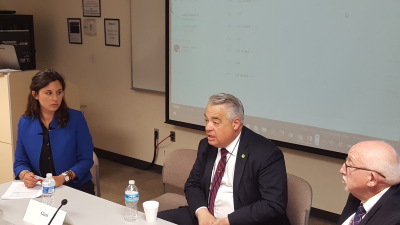 Mr. Whine, however, reminded the attendees that existing legislation should also be implemented and called for the development of administrative measures that take into consideration the volatile nature of terrorism. 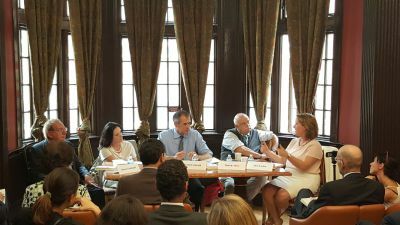 Participants working in the development field further emphasized the importance of education and economic reform addressing youth unemployment in tackling radicalization. 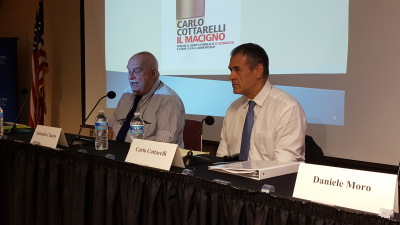 The event concluded with remarks by Mr. Whine and Mr. Moro who renewed their commitment to working together to raise awareness on issues of anti-terrorism and US-Italy relations and a promise to organize similar joint events in the future.